'James Crabtree ignores the emergence of a nexus between business and politics going back to the 1920s and talks of it as a new child of 21st century India,' says Shivanand Kanavi. IMAGE: Vijay Mallya, accompanied by his son Siddharth Mallya, leaves the Westminster magistrates court, June 13, 2017 after an extradition hearing. 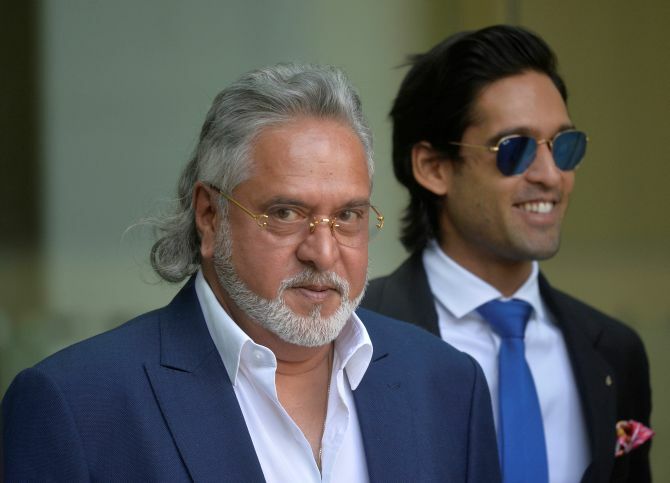 James Crabtree spoke to Mallya exclusively for his book Billionaire Raj. Photograph: Hannah McKay/Reuters. 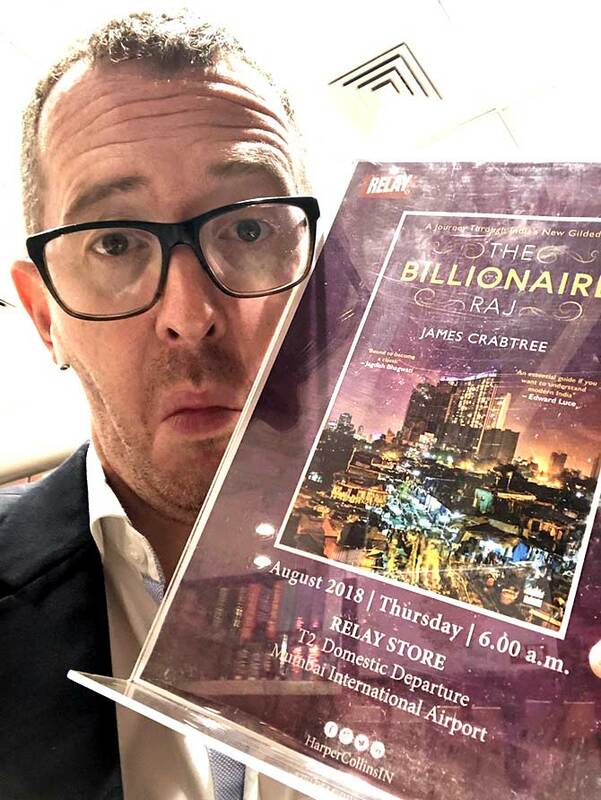 James Crabtree's Billionaire Raj (HarperCollins 2018) makes racy reading with all the details he fills in the vignettes of the characters he chooses to sketch. A veritable tour de force through the last decade in India, Crabtree's book is a recollection of encounters with the movers and shakers of India. Some are based on direct contact as the Mumbai correspondent for the Financial Times, the others on secondary sources. They read like graphic notes for a future novel or even a Bollywood script. In fact, he calls Indian billionaires Bollygarchs to rhyme with Russia's Oligarchs. Crabtree interweaves these anecdotes with ponderous quotes on inequality studies, campaign financing in Indian elections, conglomerates and their opaque finances, crony capitalism, sports betting etc. If you are looking for answers to how billionaires in India actually rule, you may be disappointed. Crabtree ignores the emergence of a nexus between business and politics going back to the 1920s and talks of it as a new child of 21st century India. A hundred years ago too, billionaires played their part. Later, many of them thrived in the post Independence economy. Then too, billionaires played a role in planning the 'planned economy' despite loudly denouncing the 'License and Permit Raj' for public consumption. 'It is worthy of emphasis that nowhere in the developing world had a group of businessmen come together to draw up such a long-term plan for a country,' Dr Singh pointed out. 'In many ways, it encapsulated what all subsequent Plans have tried to achieve,' Dr Singh said. So it is disconcerting that like most pop historians, James Crabtree too calls the period 1947 to 1991 'socialist' or even 'crony socialism', whatever that means. To his credit, Crabtree deftly traces the growth of the debt crisis in corporate India, a topic he doggedly followed for five years (2011 to 2016) for the Financial Times despite official obfuscation. He traces it to opacity of conglomerates and their conjuring up multi-billion dollar projects with nil or very small equity of their own in the go-go years and the banking system that 'overlooked' due diligence. Curiously he mentions only in passing that there are also 'good billionaires' in IT and pharma, but does not portray them at all. After all, India's global image got a boost in the 21st century primarily because of IT and pharma (exports nearly $140 billion in 2017-2018). Billionaire Raj is a good read. With his eye for detail I hope Crabtree writes a novel soon on a crony capitalist or Bollygarch if you will! Shivanand Kanavi, theoretical physicist and author, is currently Consulting Editor Business India and Adjunct Faculty at the National Institute of Advanced Study, Bengaluru.